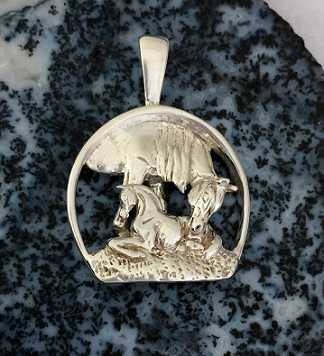 This is a lovely mare and foal in a frame in Sterling Silver. The mare is checking on the foal laying in front of her. This is a really nice piece.